The Belle Banne R Belt secondary cleaner has been a successful secondary cleaner for over 30 years. 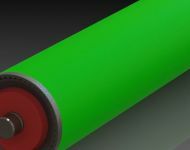 Designed for use in reversing applications, and teamed with a Belle Banne primary cleaner, or by itself, it has proved effective in maintaining a clean conveyor belt across diverse applications. Ideally positioned just back from the head pulley, the Belle Banne R Belt secondary cleaner is compact enough to fit in most chute applications and sits close enough to the pulley to ensure the material fines are directed back into the regular material flow. Available in all sizes to suit your belt width, and in a range of materials to optimize life and performance, the Belle Banne R Belt cleaner is a smart choice if you want to eliminate carry-back from your conveyor system. The cleaner is easily adjusted with a single bolt on each side. Build up of residue is reduced by the high quality polymer deflectors. It is easy to install and only needs a vertical height of 200mm so making it compact. 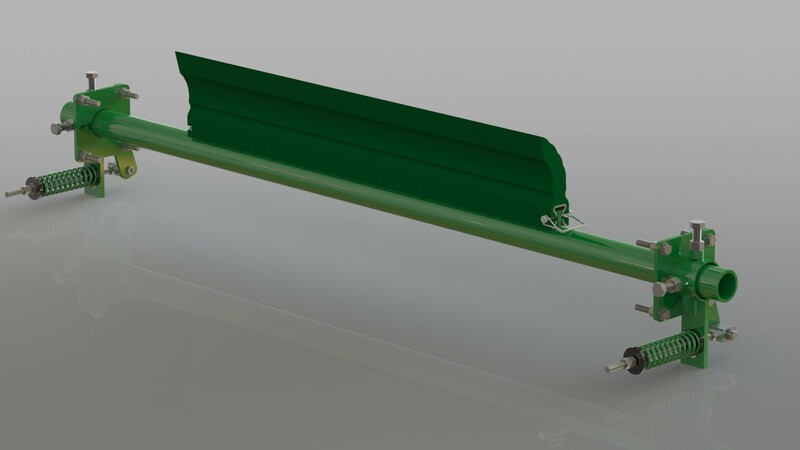 The R Belt is ideal on reversing belts and conveyors which runback. The Belle Banne R Belt secondary cleaners can remove up to 97% of your carry back when teamed with a Belle Banne primary cleaner. The R Belt cleaner consists of individual 150 mm segmented blades, each one mounted to a durable rubber cushion. Separate blades ensure constant blade to belt contact on uneven surfaces, guaranteeing maximum cleaning performance. Belle Banne has long been the leader in its class when it comes to tungsten. Our tungsten has a proven track record for consistent wear and long blade life. No other tungsten blade comes close. The R Belt Cleaners symmetrical cushion design ensures the R Belt tips meet the belt at 90 degrees to maximize cleaning performance regardless of the direction of travel of your conveyor. Optimally positioned off the head pulley, the Belle Banne R Belt cleaner is a compact design allowing cleaned fines to return to the material flow.